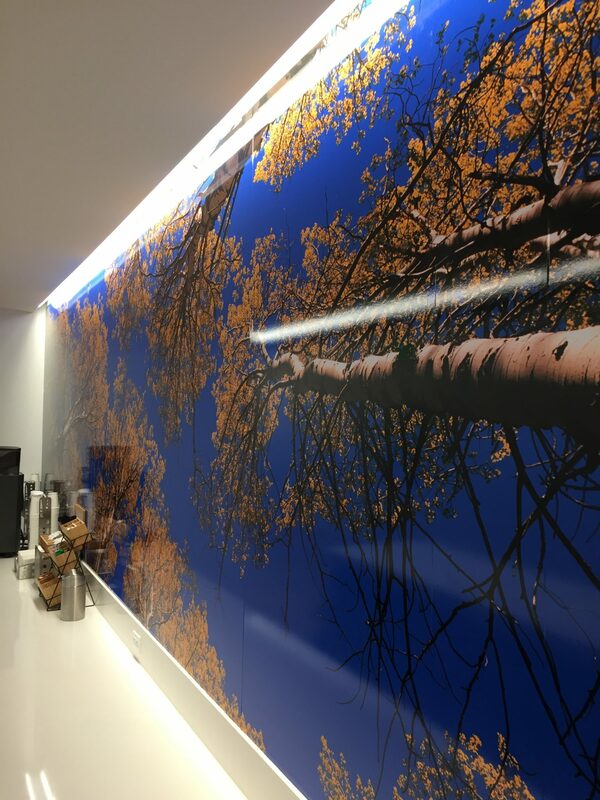 Rocky Mountain Sign Company is the leading local provider of high-quality, attractive graphics and wall murals. 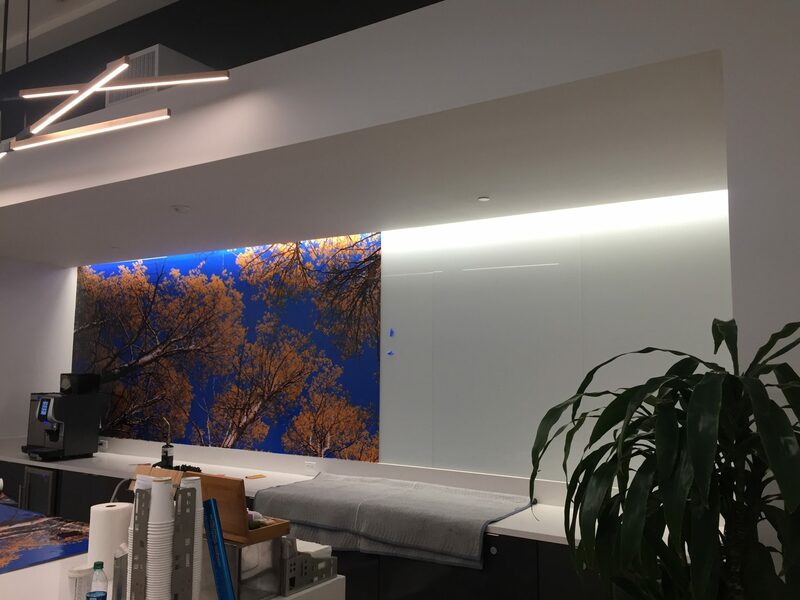 Wall murals are perfect for business use and can turn your long hallway into a fascinating illustration of your company’s history, add excitement and color to otherwise bland walls, or enable you to proudly display your business logo inside of your office lobby. 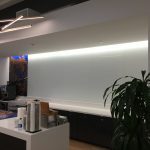 Whatever your intended placement, purpose or size happens to be, from inspirational murals for your breakroom to hand washing signs for the bathroom, we design, make and install the ideal graphics, wall stickers and vinyl signs for your business. 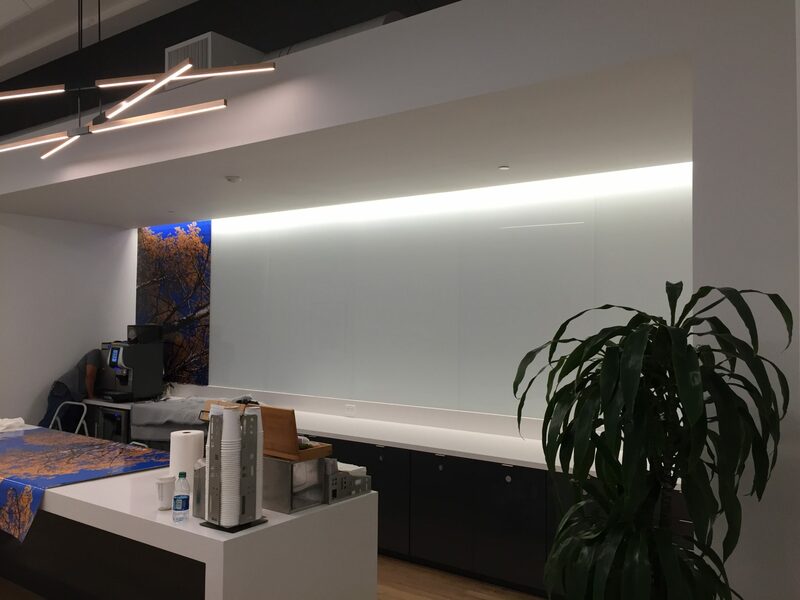 So whether you have a blank space that needs to be put to good use or a wall mural design you would like to have created, our knowledgeable and experienced staff can help you transform your business walls into works of art that will effectively build your brand. Call Rocky Mountain Sign Company at (303) 945-3288 for a Free Consultation with a Wall Mural Specialist! 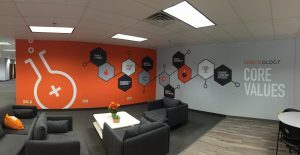 Rocky Mountain Sign Company designs custom wall murals specifically for your space, branding, and business. 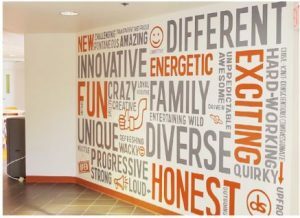 We use durable, high-quality vinyl to create attractive and eye-catching wall lettering and wall graphics that can display or say what you want to in an image. 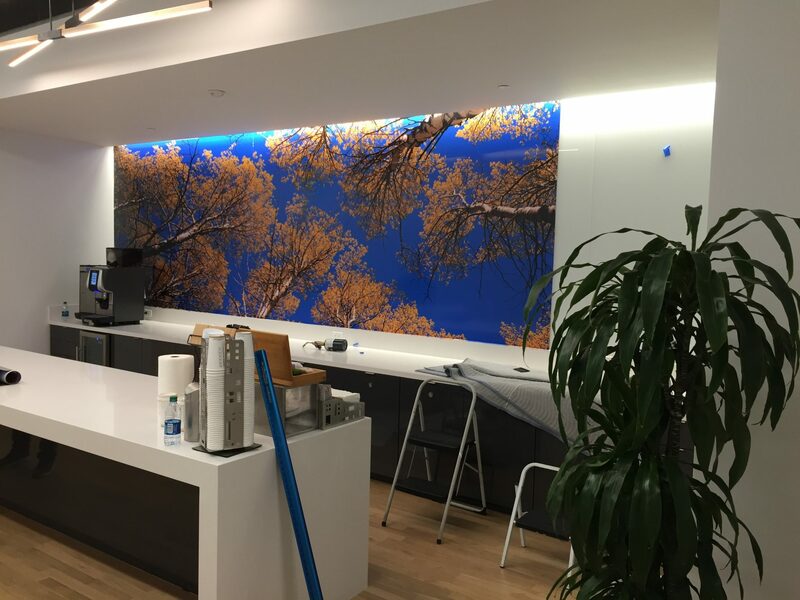 From individual wall decals to large-format landscape murals that tell a compelling story. We handle all of this. Have you changed our mind? That’s okay! 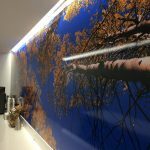 You can take down our removable wall murals at any time, and then either be reverted back to an undamaged, plain wall or be fitted a brand new design that reflects your business promotions, seasonal changes or current branding. So you don’t have any designs in mind? No problem! We have experienced graphic designers who can create the ideal design for you. We handle all the steps in the process, helping you design from installation all the way to your desired location. If necessary, we can conduct an on-site evaluation, which includes measuring your walls to make sure your mural fits in your space perfectly. Rocky Mountain Sign Company only uses the highest-quality materials, which allows you to have confidence in the fact that your wall vinyl not only will be long-lasting and durable but will also have an attractive finish, that have options ranging from matte to high-gloss, that is well-suited for being placed inside of your facilities. 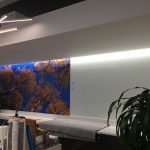 Although it is possible to install vinyl yourself, for the best results and smoothest finish, the best thing to do is have your artwork placed by a professional vinyl installer. Although there are usually not a lot of issues associated with small graphics, large vinyl sheets may be difficult to work with, which often results in small rips, creases or bubbles, which creates an unattractive appearance. However, whenever you work with Rocky Mountain Sign Company, if you have any issues arise at any point of our expert installation, like the vinyl getting damaged, then we will replace it at no cost to you. 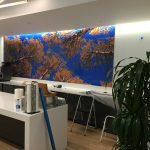 However, if you damage the vinyl while attempting to install it yourself, you won’t have the same warranty, which makes professional installation an absolute must for large-format vinyl murals. Our expert team at Rocky Mountain Sign Company is committed to providing you with outstanding support and products. Our goal is to be your go-to sign company to meet all signage needs for your business. With a broad range of services and sign products, we ensure that company will look professional and sharp at all times and are ready to help the new customers and clients your signage will be attracted every day. 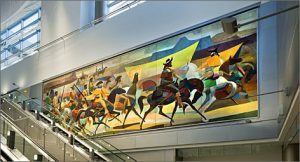 Call Rocky Mountain Sign Company today at (303) 945-3288 for a Free Consultation with a Wall Mural Expert!